In summer months, Ye Olde Stone Barn Museum is fully staffed and operating. The museum boasts many artifacts, models, and audio visuals which showcase local architecture and history, as well as extensive genealogy records. 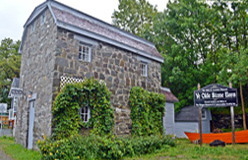 Originally constructed in the 1820’s by Charles Cozens as one of three stone buildings for his fishing operations, it was converted into a barn in the late 1800’s. For more information, visit www.brigusheritage.ca. Formally St. George's Anglican Church built in 1876-77, it is still used for weddings, musical concerts,readings and lectures throughout the summer. Hand blasted in 1860 by Cornish miner John Hoskins to provide easy access to Abram Bartlett's Wharf, for his ship the Panther. This park is the perfect spot to have a picnic and unwind with friends or family. 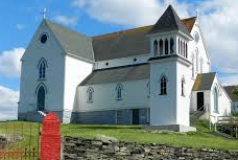 The local newspaper, The Vindicator & Brigus Reporter, was published here from 1898 to 1903, the paper sold for a penny a copy and was very useful in keeping the townspeople up to date on the communities’ goings on. 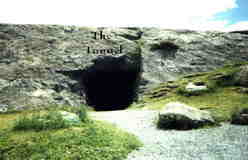 The rock foundation of the building is still visible today and the head of the printing press is now used as a commemorative plaque in the park. Visit the Stone Barn museum to see The Vindicator newspaper clippings on display! 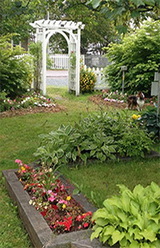 Wilcox Gardens are enjoyed by residents and visitors alike. 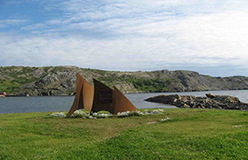 With picnic tables and benches on site, this is the perfect spot to relax and enjoy the beauty of Brigus. Year round the gardens are maintained by a group of committed volunteers. Donations are gratefully accepted. 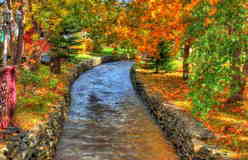 The garden is one of only a select few designated peace parks in Canada. 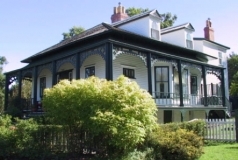 In 1988, the site was donated by the Wilcox family who occupied the dwelling on the property since the mid 1800’s. The large central tree in the gardens was planted in 1988 by the captain of the Ernestina/Morrissey Schooner - the ship that was once the pride and joy of Captain Bob Bartlett! Constructed around 1786 for the Pomeroy family,from 1914 to 1915 it was occupied by American artist Rockwell Kent. 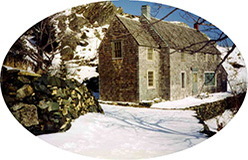 The cottage served as the summer residence of Bradly J. Folensbee from 1953 until his death in 2003. Erected by friends in memory of Caption Bob Bartlett. 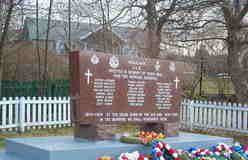 Erected in memory of those who paid the supreme sacrifice in World Wars I & II and the Korean conflict. A special feature of the Brigus landscape, Stonewalls line the rivers, and were probably bulit to keep the water from overflowing the banks. 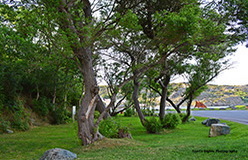 Payne Family Park is the ideal location for both picnics and recreation. Located adjacent to the beach and tunnel, the park offers a great ocean view. 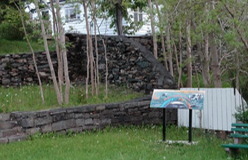 A history board related to the site’s heritage can be found in the park. 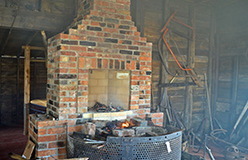 Now operating as a heritage forge, a local blacksmith crafts small souvenir objects inside Pinkston’s Forge. Erected in 1889, the forge was once used by a blacksmith to craft metal objects such as horseshoes and tools. In 2014, the forge was relocated to it’s current location on Magistrate’s Hill, next to The Stone Barn Museum.